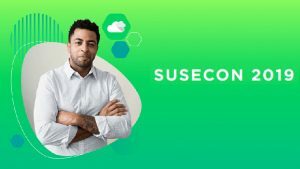 At SUSECON 2019 in Nashville, TN, CEO Nils Brauckmann delivered an upbeat assessment of what is happening at the enterprise Linux vendor. This is the first major conference since EQT acquired SUSE from Micro Focus in a deal worth US$2.5 billion. As such, there is a lot of interest in what Brauckmann and his team are planning and what this means for customers. He went on to say: “The team has an enormous hunger to operate this business and it will be good for the market in its entirety.” One of the key goals for Brauckmann is for SUSE to be seen as the “Independent trusted advisor” for any company looking for open source software. Brauckmann was keen to point out that under its previous owner, Micro Focus, SUSE has had strong growth. 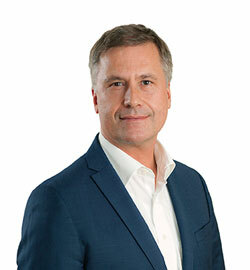 In 2018 the company saw revenue grow by 15% and the business achieve a $400m revenue run rate. It will be interesting to see if it can exceed that in this first year of independence under EQT. It was not just revenue that was up last year. SUSE increased its workforce by more than 300 people. The majority of these went into the engineering division with sales and service also increasing their head count. What is interesting here is that as part of that HPE Helion deal, SUSE also acquired all of the HPE software engineers working on the product. Brauckmann told the press that the company is still hiring and plans to invest more in order to service its customers. One of the obvious questions for SUSE is: where will the next wave of growth come from? Brauckmann says that it will be a mix of organic growth and acquisition. He didn’t say how big a war chest he has been given by EQT. However, as SUSE expands its product portfolio it will want to make sure it stays at the front of open source development. One solution here is to acquire existing open source projects that align with where SUSE is already heading. This would be cost effective. The company would simply select the open source projects it wanted to add and start with a copy of the code. It could then move to hire the key engineers behind the project, an approach termed acquihire. It does mean that Brauckmann wouldn’t require a huge war chest and would allow it to adopt and support an existing customer base. This doesn’t eliminate the need to make a costly acquisition but it does provide SUSE with an opportunity to stretch the budget further. SUSE Cloud Application Platform 1.4: Available in April it is the first software distribution to introduce a Cloud Foundry Application Runtime in an entirely Kubernetes-native architecture. This includes a tech preview of Project Eirini that SUSE announced at the Cloud Foundry Summit in Basel last year. SUSE is now a Kubernetes Certified Service Provider: This will deliver new benefits to customers using SUSE Cloud Application Platform and SUSE CaaS Platform application delivery solutions. The SUSE Linux Enterprise Server for SAP Applications image on Azure: This will allow SAP HANA customers to build very large image on top of Microsoft Azure. It is a significant boost for SAP who has been sending mixed messages over its cloud strategy lately. SUSE OpenStack Cloud 9: The latest version of the SUSE OpenStack Cloud platform is also integrated with HPE Helion. Customer now have a single code base and the product will be resold by HPE as SUSE OpenStack 9. Support for Intel “Cascade Lake”: This strengthens SUSE’s support for Intel Octane DC persistent memory. Vendors are always upbeat on the first day of their conference. They have to be. Customers and partners are not there to be told the market is flat or we’re struggling to write anything new. In this case, however, there is added pressure on Brauckmann and his management team to not only be upbeat but also show how they plan to grow as an independent company. Growth will come. Brauckmann is too shrewd an operator for that not to happen. With HPE now openly selling SUSE OpenStack 9 into its customer base, that growth could come at a much faster rate than last year. It will also give SUSE a boost in the enterprise Linux market in terms of visibility. Overall, Brauckmann gave a positive and open view of where SUSE is and where he sees it going. He has a management team with long standing experience with SUSE. There is no reason to believe that he cannot easily beat last years revenue numbers. The big question is by how much? Epicor, is the ERP phoenix rising?